From being mentioned on the Yarn Harlot’s blog last week, my Etsy shop suddenly had a lot of traffic and even a few new orders. 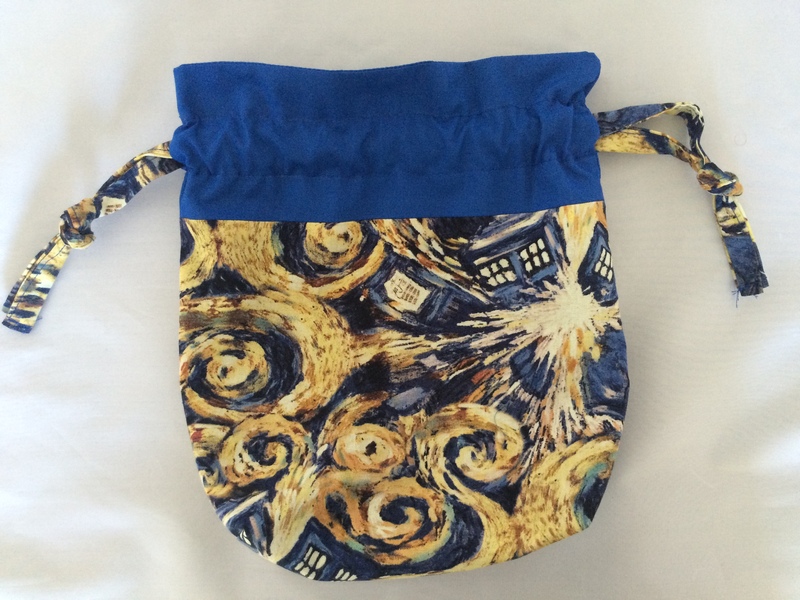 It wasn’t the best timing, stock-wise, as I had been away for over a month and hadn’t been able to make the new project bags I’d wanted to have in stock. Today I spent some time at the sewing machine and was able to stock up the shop a bit, but there’s still work to be done. 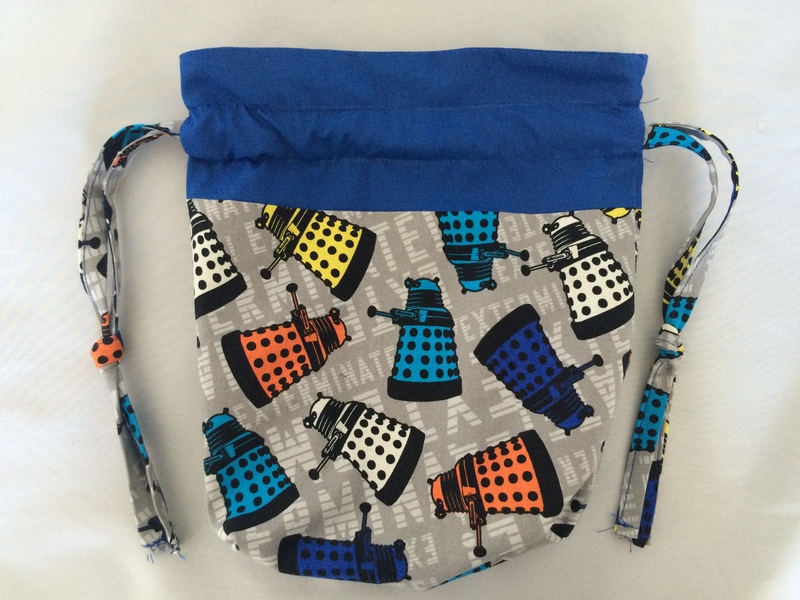 The new project bags I made are Dalek, Tardis, and Star Trek-themed! 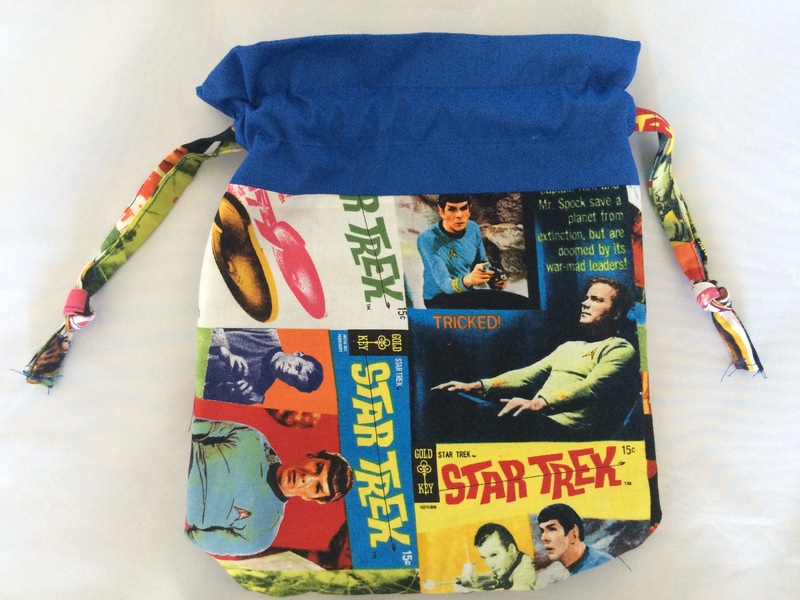 My Etsy shop is https://www.etsy.com/shop/MarissaMadeIt, if you or someone you know has geeky/sci fi taste and needs a new project bag! 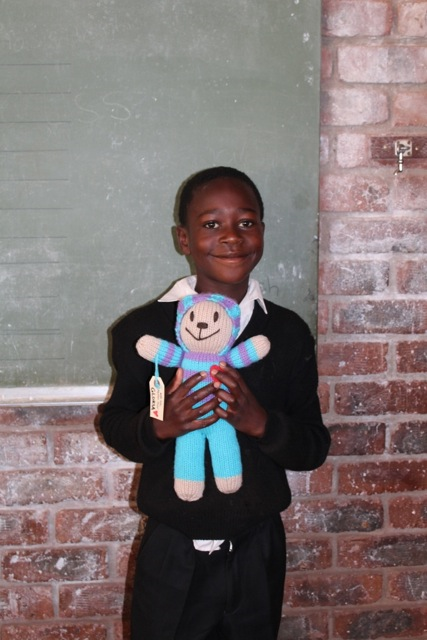 In Mother Bear Project news, I found my Gloria Bear among many bears with their new owners in South Africa. Love! Gloria with her smiley new pal.